Get your personal Body-Field Scan Interpretation and see how Bioenergetics can transform your practice! It’s Time to Make Health Easier, Effective and Enlightening. This is The BioEnergetiX WellNES System. And I’d like you to check it out and get your individual Body-Field Scan interpretation by one of our Bioenergetic Coaches for FREE*! You’ve probably heard a variation of this complaint in your practice hundreds of times. They´ve discovered the hard way you already know. That today´s popular medical approach on how to fix the body just isn´t working. That’s because modern medicine limits itself by focusing only on trying to correct the biology and biochemistry of your cells. They do NOTHING to discuss the third and most important force in your body… your body’s bioenergy field – the very source of your health and vitality. And sadly as a result, so many people don’t get the long-term healing solutions they need. Nature made the human body to be an incredibly efficient healing machine. A healthy body easily neutralizes viruses as well as other invaders and environmental toxins. And much of your work is helping your clients achieve and maintain healthy living. So what’s happening that causes biology and biochemistry in the human body to break down? As a natural healer, you already know that every living thing is surrounded by energy. And everyone generates their own “Body-Field” of energy. But what you may not know is that researchers have discovered that this Body-Field acts as a control system managing the self-healing power of the body. When energy is low, blocked or disrupted, biology and biochemistry can break down causing the body’s own self-healing power to lapse. That’s why the most common complaint you often hear from your client is “I’m tired”. It’s the first sense most people have that something is wrong. Now what if you could go straight to the source to find out why they’re so tired? What if you could look deep into your client’s energy fields for the true healing solution? And in just a moment I’m going to show you the amazing new scanning technology you can use to see your client’s entire human body field –And it takes just seconds! A Stunning NEW Scientific Approach That’s Restoring Energy and Health to Thousands of People … when Nothing Else Worked! Hello. My name is Harry Massey. I’m the founder of NES Health and the BioEnergetiX WellNES System. We’re the world’s leader in the study of the role of energy in living systems. We call this scientific approach … “BioEnergetiX”. Perhaps you’ve heard of it. BioEnergetiX is a powerful scientific approach to wellness, based not on biochemistry, but on physics and the energy that powers your body. It studies how your cells, body and environment exchange energy and information to keep you in perfect health. Now, most medical professionals believe that cells are made out of matter and can only be influenced by other matter, such as drugs or chemicals. But in BioEnergetiX, the focus is on the energy fields that surround us and are within us. As a result, our bodies are both matter AND energy and that matter too is energy. In BioEnergetiX, the body consists of three parts, energy, matter (which is the physical body) and information which is carried on the energy fields of the body. We call this structure the Human Body-Field. It’s this information that directs the body’s energy and controls your body’s self-healing abilities. So when your Body-Field is blocked or out of whack, it’s the biochemistry and health in your body that breaks down. Conventional medicine has never really merged the role of energy into the biological function of the body. They don’t even acknowledge that these energy fields have an effect … beyond being useful in diagnosing heart problems (EKG) and brain disorders (ECG). Instead, most doctors today believe that to fix the body’s biology, then you have to change the body’s chemistry … mostly through drugs. But the new BioEnergetiX approach believes that invisible energy fields have a great influence on physical matter. What this means is: It’s energy through information that instructs each and every cell in your body what to do. But instructing the cells is a huge task! That’s because the human body has trillions of cells which perform over a 100,000 biochemical reactions per second. Each action must occur in the right order and at precisely the right time for the body to function properly. We’re ALL Born with a Perfect Body-Field! Fortunately, every human is born with an amazing self-healing energy blueprint of information that is carried out in the fields of the body. This blueprint is common to all of us and is simply another way to say Body-Field. But life’s challenges – stress, diet, environmental poisons or emotional upsets – damage this original blueprint. The energy field is blocked and information to the cells becomes scrambled. As a result, your body can no longer maintain optimal health and repair itself as nature intended. So the cells send out distress signals that we often feel as pain or fatigue. But when energy is surging freely and the Body-Field is working properly, only then can it provide the right environment for your body to heal itself. Now the body’s biochemistry – which is when the cells are doing what they must do – can function properly. The result: the body thrives … and energy and wellness are restored. I know this firsthand because BioEnergetiX restored me … when no other doctor or alternative health practitioner could. Twenty-three years ago I was an active, athletic 18-year-old. I loved to hike, sail, go rock climbing and paragliding. I even climbed mountains! But one day I came down with a high fever. And no doctor could tell me why. Then I began developing other symptoms such as chest pains, swollen glands, difficulty thinking, and overwhelming fatigue. I was so tired I spent days in bed. Then it got so bad, I couldn’t get out of bed … at all. Since the doctors couldn’t tell me why I was sick, they simply diagnosed me with their catch-all favorite, Chronic Fatigue Syndrome. And they did nothing to heal me. So I turned to alternative health practitioners. I tried everything – raw food, juicing, fasting, herbal medicine, homeopathy, yoga, ozone therapy, chelation, hypnotism, psychotherapy, IV vitamins … just to name a few. Nothing I tried restored my energy or health. I continued to decline for seven long years. Since I wasn’t getting better with a biology approach, I began to explore the field of physics and the energy that surrounds the body … which led me to Peter and his stunning work. As you probably know, eastern medicine has used energy as the foundation of its healing practices for centuries. We already know the body is surrounded by fields of energy and also produces its own energy. One of the names for this energy you may know is “qi” or “chi” from Traditional Chinese Medicine (TCM). The belief is: how freely this energy flows through the body determines your health. While the ancients knew the powerful secret of energy medicine for centuries, modern research is starting to catch up. Study after study is showing the positive impact energy therapies are having on the wellness of the human body. For instance… An article, published in 2015 by Global Advances in Health and Medicine, reviewed over 30 published clinical trials assessing energy or “biofield” therapies. Many of these studies showed that these energy therapies reduced pain. And in another article published in the International Journal of Behavioral Medicine, researchers reviewed 66 energy therapies. Many of these studies were on hospitalized patients. 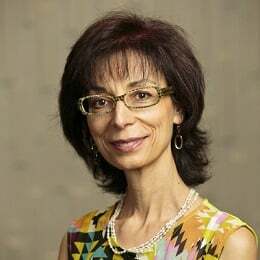 The researchers were amazed to discover that energy therapies on these patients reduced anxiety in heart patients and reduced the intensity of pain in burn patients. It was Peter who originally coined the term “The Human Body-Field” to describe the energy that surrounds and flows through the body. This field is the body’s intelligent, self-healing, self-correcting, energetic and informational structure that guides and directs the cells in their millions of daily activities. The Body-Field acts as your body’s master control system. You see, molecules and cells are unable to regulate themselves. They have to be told what to do. Your Body-Field is the energy network that carries the information on energy waves to the cell so the cells can act. Any distortions in the body’s energy field and the cells don’t receive the correct information to work properly. As a result, this scrambled information distresses the body which causes you to feel unwell. I believed if Peter knew precisely where to unblock the energy field and unscramble the information it would be possible to correct the Body-Field and give the body the right environment to heal itself. Wouldn’t that be a miracle? Correcting the information of the Body-Field could act as a catalyst for the body’s biochemistry to start functioning smoothly again. The body’s self-repair mechanisms could suddenly switch on and begin working smoothly once again. Now, thanks to your Human Body-field, your body can act as its own best doctor – and heal itself naturally as it was designed to do. Why Is Medicine So Backwards? Now for centuries, the healing role of energy – or BioEnergetiX – was all just a theory and ignored by conventional medicine. No one could actually see the body’s energy-field. No one could measure it. No one could pinpoint with any accuracy where these distortions were occurring in the Body-Field. And most importantly, no one knew how to interact with the Body-Field. No one could provide the Body-Field with the information it needed to correct the damned-up energy flow causing havoc in your body. So the field of energy medicine was dismissed or ignored by conventional medicine … and many in alternative healthcare as well. But then in an astonishing breakthrough, Professor Fraser changed energy medicine forever. When I first met Peter, I was still very sick, but determined to heal myself. 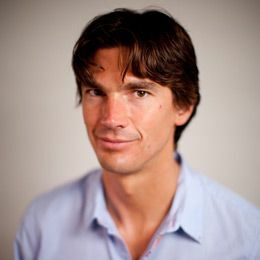 Peter was considered one of the best alternative health researchers in the world. For over twenty years, Peter had been researching the human Body-Field. His work began in the field of acupuncture and TCM. But he found that work limiting. It was one thing to know energy existed and flowed in the body, but what use was that knowledge without knowing how the information that instructed the cells was carried on this energy? I had also been researching energy medicine and natural healing methods. But once Peter told me he was trying to map out the human Body-Field, I wanted to help. We talked about how conventional and modern medicine appeared to work backwards. Why did they look at invasive toxins and viruses and work so hard to kill them? I asked Peter: Wouldn’t it be simpler to restore people’s health by simply looking at the positive? Instead of focusing on killing the dangerous invaders, why not look at the flow of energy and the information blueprint in healthy people and restore the original Body-Field and help people be healthy instead? It was a “slap on the forehead” kind of moment for both of us. And it totally altered Peter’s approach to the mapping of the human body-Field going forward. So we began mapping out the first and only self-healing perfect blueprint of information we were born with. It was slow and repetitious work. We tested thousands of people’s tissue samples and Body-Fields to work out the original blueprint. We tested and retested everything. We didn’t stop until the entire Body-Field was mapped out! It took us nearly ten years, but our dogged persistence paid off. With this impressive breakthrough in understanding how energy flowed in and around the body, we turned conventional – and alternative – medicine on its head. They both look at the body from the point of view of how to eliminate the pathogen, virus, or bacteria. With BioEnergetiX, our view is to restore correct healing information back into the Body-Field so the body’s own self-healing mechanisms takes over. With his research, Peter was creating what became the first detailed BioEnergetiX anatomical map of the human Body-Field. Together, we developed the technology necessary to instantly scan the Body-Field to uncover the places where energy distortions existed causing restorative information to be scrambled. This was an incredible leap forward in the healing progress of medicine – greater perhaps than the discovery of the germ, penicillin and the mapping of the human genome. The centuries-old theories of energy medicine and traditional Chinese medicine had finally been validated through the mapping of the human Body-Field into the exciting 21st-century healing science of BioEnergetiX. Mapping out the Body-Field for everyone to see made it possible to find the distortions and blockages scrambling the body’s own ability to function correctly. But the question remained … how do we correct the information distortions in the Body-Field and create this perfect environment for the body to repair itself? And the answer is in the liquid remedies Peter and I developed called “Infoceuticals”. Field, then new information must be introduced into the body. And Infoceuticals are the safest, easiest and most direct way to do just that. All you do is place a few drops of these Infoceuticals in water and drink. It’s that simple! In a moment, I’ll share with you how these cutting-edge remedies correct the Body-Field and restore your body’s own natural environment to unleash your body’s own power to repair itself. But first, let me tell you about my own happy ending to my healing journey. As I said earlier, when every medical and alternative remedy had failed me, bioenergetics saved me. Once I began taking these liquid Infoceuticals, my energy returned. My fatigue and other ailments began to disappear. I was no longer bed-ridden. Slowly, I returned to the active lifestyle of my younger years. My body was finally rejuvenating. health solution that could help everyone would now become my life’s work. And so Peter and I launched NES Health in 2003. Working together, we developed the practical technology and restorative infoceuticals needed to correct the body-field and create the perfect environment your body needs to trigger its’ own self-repairing power. The Cutting-Edge, But Simple, Technology to Detect The Source of Your Client’s Distress in Just Seconds! If you’ve ever been a patient, then you know the most anxious and stressful time is that time between the medical test and waiting for the results. You worry and imagine the worst. And then too often, these tests don’t tell you what’s wrong … and more tests are ordered. In my case, I spent years taking test after test and not one led to a successful wellness plan. Many practitioners and healers tell me the most frustrating part of their job is the difficulty in correctly discerning what’s really causing their clients’ tiredness or discomfort … and how to help them. You can now have the most effective and easy-to-use scanning tool at your fingertips to bioenergetically detect the condition of the Body-Field. This advanced technology is called the Body-Field Scanner. It’s small and you can plug it into any tablet, laptop or computer. The scan is non-invasive and painless. There’s no risk to your client in being scanned. You simply ask your client to place their fingers on the Scanner. Within seconds, the Scanner has scanned your client’s entire Body-Field detecting and interpreting any changes or distortions. The scan is instantly uploaded and analyzed by our proprietary and comprehensive decision-aiding software developed exclusively for the BioEnergetiX WellNES System. In moments, the strength and flow of your Body-Field is revealed on your computer screen. Now for the first time, you can see beyond your client’s complaints into their complete Body-Field detecting any distortions that’s scrambling the information controlling their biochemistry. Finally, as a healer you’re able to see right to the source of your client’s issues and discomfort. No other test can do that and do it so quickly. Who Should Try the BioEnergetiX WellNES System? No more waiting for results. No more wondering what to do. Everything is at your fingertips! I guarantee you’ve never seen any test result come back this fast. In just seconds, BWS’s cloud software analyzes over 150 systems and sub-systems in the body-field. The cloud software returns a richly-detailed overview of the body-field. In just a glance, you know the health and strength of your client’s body-field. Not only that, but the system organizes and prioritizes any distortions using a simple color-coded checklist that goes from green – everything’s okay – to red – urgent attention needed. understand. You don’t have to have had years of medical training or schooling. All you have to do is follow the simple instructions on the screen. Plus, if your client has more than one distortion in his body-field, the software shows you the preferred sequence of attention your client requires. This is so important. Addressing body-field distortions in the right order jumpstarts the body’s own self-repair capabilities so your clients are restored to wellness faster. Get Customized Treatment Protocols in Seconds! The software also outlines an effective treatment plan your client can start right away. The software matches the right Infoceutical needed to imprint the correct information onto the matching distortion in the Body-Field. When the Infoceutical begins feeding the Body-Field the new and correct information, your client’s Body-Field quickly returns to the powerful self-repair blueprint they were born with. By restoring the Body-Field, the body’s biochemistry can now function properly. Now you can deliver a laser-focused customized treatment protocol that delivers exactly what your clients need when they need it. After just a few minutes of scanning and reviewing your client’s results, you know exactly what to do to start your client on their own path to abundant energy and quickly returns to the powerful self-repair blueprint they were born with. A High Level of Personal Service and Care – Anytime, Anywhere! You can provide your clients with their own Body-Field Scanners so they can scan at home. The scan results are sent directly to your BioEnergetiX WellNES System account for you to discuss with your client by skype or phone and make any adjustments to their Infoceutical protocol. How easy is that! Your clients no longer have to be in the same location, town, state or even country for you to treat them! You can provide the same high-quality care – but without the hassle and time crunch of scheduling appointments and having to be at the “office”. THE ANSWER IS: JUST SCAN! Regardless of what therapy or remedies you’re currently offering your clients, the BioEnergetiX WellNES System is so easy to incorporate in to your current practice. That’s it! Simply login with your email address and we do the rest! The Body-Field Scanner and software is backed by more than 30 years of scientific research and over a decade of clinical studies and practical use by doctors and healers JUST LIKE YOU. Don’t take my word for it. Why not try it for yourself – for FREE* for the next 30 days? Next, I’d like to share with you the secret of the Infoceutical remedies – the simplest, safest protocol you’ll ever use. The simple genius of the BioEnergetiX WellNES System is that your clients are not taking pharmaceutical drugs or fistfuls of vitamins and supplements. That’s the old biology approach which does nothing to correct the distortions in your client’s Body-Field which are the true cause of your client’s miseries. These distortions show the point where the information transfer processes have broken down. This break-down is what’s causing the pain, fatigue and unwellness your clients feel. Since our bodies are made up of not only physical matter, but energy and information as well, it takes fresh information to correct scrambled information in the Body-Field. So the question for Peter and I became… how do we get the correct information into your body? Well what’s your body mostly made of? 99% of the molecules in our body are water. Our cells float in water, contain water and need water to survive. I’m not talking about ordinary tap water. Instead it’s a special water molecule known as structured water which is able to transfer energy and information to your Body-Field. Since structured water is able to store and transfer new information and patterns of energy, we were able to imprint this water with information to restore the Body-Field to its’ original blueprint. We called the information-imprinted water – Infoceuticals. 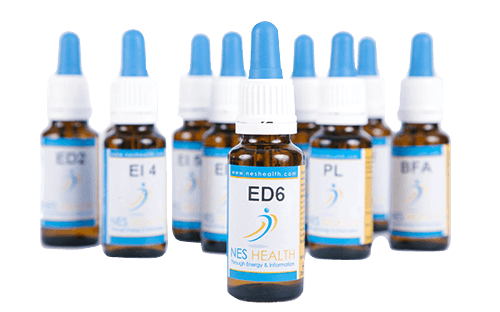 And drop by drop, the liquid Infoceuticals are encoded with the precise information needed to correct the Body-Field … restore the body’s optimal energy environment … and turn ON the body’s self-repair system so biochemistry functions properly once again! Just like your cells have receptors to take in nutrients, they also have energy receptors to take in the information imprinted on the Infoceutical. The encoding process is proprietary and I can’t share much of the complex process with you. But what I can tell you is that the process is very similar to the way music is encoded onto a CD. These liquid drops are made up of microminerals and water. This mixture is passed through a specially-made machine. This machine encodes the critical information into the mixture using a high electrostatic field and more. You simply add these drops to water and drink. It’s that safe and easy. In a recent study on the effectiveness of the Infoceuticals, 231 out of 240 study participants reported improved health after using the Infoceuticals. That’s a whopping 96.5% success rate! Currently, we have over 70 Infoceuticals. Each Infoceutical contains pure information designed to correct specific information and energy patterns in the body. Based on the scan and analysis, the BioEnergetiX WellNES System will advise you as to what Infoceutical (or Infoceuticals if more than one distortion) your client should take, in what order and the number of drops to use. There’s no guesswork on your part. The healing protocol you recommend for your client is unique to correct their specific Body-Field and quickly activate self-repair. Unlike drugs and supplements, our Infoceuticals don’t focus on temporarily relieving symptoms. Instead, Infoceuticals focus on restoring the Body-Field to peak efficiency. Once that occurs, your body’s own natural self-repairing abilities should do the rest. And you’ll be happy to know the Infoceuticals are safe and have caused no known side effects. Ordering the Infoceuticals is easy too. Simply approve or edit your client’s treatment and we drop ship shipments directly to you or to your client. With the Body-Field Scanner and the wide selection of Infoceuticals, you won’t need to struggle as hard as you do to detect and correct the root cause of your clients’ health issues. The Body-Field Scanner takes just seconds. The ground-breaking software shows the strength and the health of the Human Body-Field and where corrections are needed. The software also reveals what Infoceuticals will correct the Body-Field and restore the body’s optimal healing environment. Regardless of why your clients come to you or what treatments and services you currently offer, this system will slip seamlessly into your practice. Finally, you can confidently answer that age-old client question … what’s wrong with me and what can I do to fix me? With the Infoceuticals working to restore the Body-Field’s original healing blueprint and revive your clients’ health and energy … it’s now so much easier for you to help them achieve their long-term health goals. Now that your clients are feeling better and more energetic, they’re more receptive to the healthy changes you want to encourage in their lives, such as making good food choices, increasing activity and making the healthy changes they need for long-term success. I hope you’ll take me up on my offer to try the BioEnergetiX WellNES System for 30 days. It’s easy to get started and I can ship it to you right away! – quickly and easily with less time and effort! Distinct, color-coded instruction on which issue to tackle first, second, etc. One quick scan and you know in seconds the improvements in the Body-Field. To help you be successful in your practice, you’ll have full access to our online training program covering all aspects of using the BioEnergetiX WellNES System to help your clients restore energy strength and flow to peak performance … and restore vibrant full health as a result. Each professionally-produced online video is easy listening and comprehension. Plus, you can access the online training program at anytime on any device… computer, laptop, smart TV or smart-phone. Don’t get left behind. The science behind why BioEnergetiX is the future of medicine … and the simple steps you can take to start using it successfully in your practice. The speed-healing secrets of the Human Body-Field. See how energy and information flows through the body … and why this is so crucial to maintaining good health. You’ll learn how to “fix” these pathways and reactivate the body’s self-healing power. What do all the colors mean? 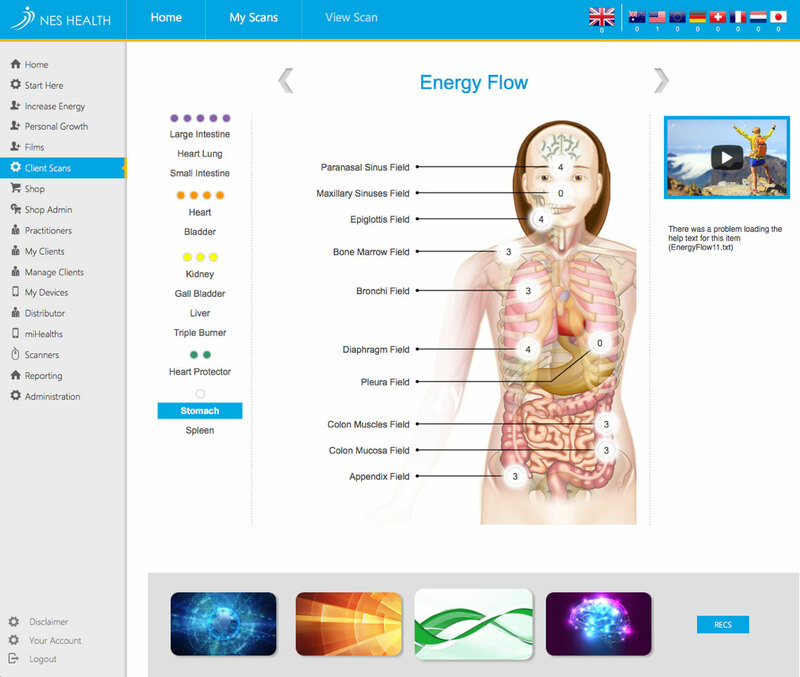 How the BioEnergetiX WellNES System quickly and simply reveals the functional status of your client’s Body-Field. What you must know to help your clients restore abundant life and health. How to get your clients raving about your practice. The secret is in the Infoceuticals. Discover the simple one-click solution to creating the perfect Infoceutical treatment plan from what to take, how much and in what order. The exact number of health complaint issues to address in any one session! Doing more will not help. In fact, it will do more harm. So stick to these guidelines! The BioEnergetiX WellNES System is the result of over 30 years of scientific research, clinical trials and actual client case studies. Plus, we continue to do cutting edge research in BioEnergetiX and energy’s impact on restoring optimal health. 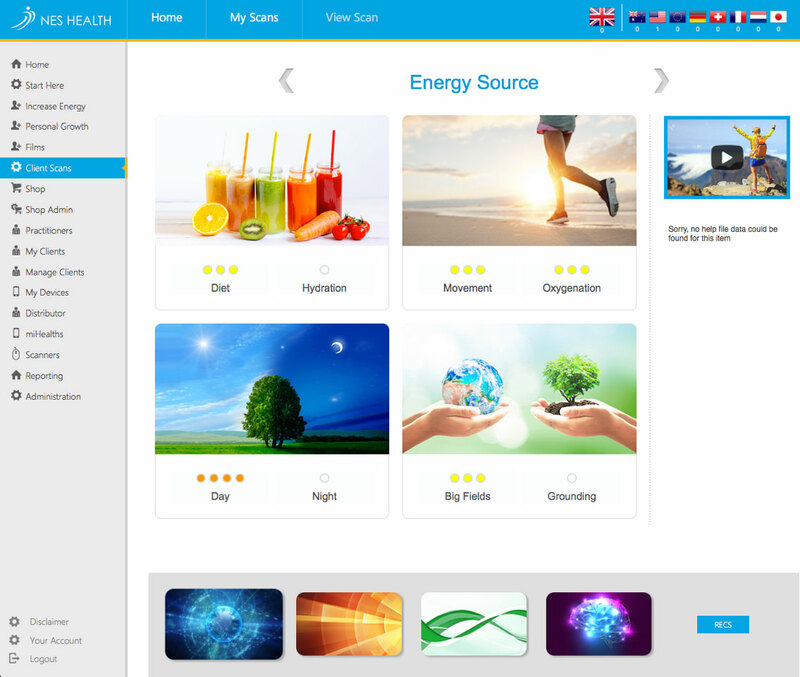 As a certified practitioner, you can have access to our Online Research Library into BioEnergetiX to help complete your knowledge of this revolutionary new approach to wellness and living with abundant energy. Learning how to become a BioEnergetiX Coach will give you the advanced skills you need to change people’s lives for the better … and restore abundant energy, health and happiness to their lives. We created the BioEnergetiX WellNES System to seamlessly fit into your health practice. We give you all the tools and hands-on assistance you need to finally offer your clients the fastest, safest way to achieve their best health. All you do is scan with the handy Body-Field Scanner and review the results with your clients. We do the rest … from maintaining your client files to ordering and drop-shipping Infoceuticals to providing the educational materials to give to your clients … and so much more. Our goal is to make health easier, effective and enlightening for you, your practice and your clients. And you can test-drive the BioEnergetiX WellNES System for FREE* in your practice for 30 days … before deciding if it’s right for you. Think of all the benefits you’ll get by trying the BioEnergetiX WellNES System in your practice. First of all, you’ll be able to offer your clients a painless, non-intrusive way to detect distortions in their Body-Field … which is often the true cause of their wellness problems. Second, you’ll be able to offer your clients the simplest, safest, treatment protocols and life-changing habits to protect their health and give them abundant energy so they can continue doing the things they love. Thirdly, you’ll experience the joy and satisfaction of knowing you’re truly helping people restore their body’s own self-healing power so they can live a long, happy and active life. And finally, you’ll be able to successfully grow your business without pouring hours of extra effort and time into your practice. With our system, you can scan and recommend the correct Infoceutical protocol in just minutes so you can see more clients without spending any more time at the office. And with the remote scanning capabilities, you don’t even have to see clients in your office. Imagine the greater freedom and flexibility to balance work and home life with the effective, easy-to-use BioEnergetiX System. And for a limited time, you can try the system in your practice for FREE* for the next 30 days. We want you to experience all of the benefits and capabilities of the system before you make any purchasing decision. Take the FULL 30 days to use the Body-Field Scanner on yourself, your family, friends and clients. You’ll be amazed at how easy it is to use. Take the 30 days to start making money with our system. Order the Infoceuticals at wholesale prices and sell at retail. If you’re not absolutely delighted with the results you and your clients are seeing and the added income to your practice, then after 30 days … tell us you’re not interested and send your scanner back. It’s okay. We walk away friends. Join our 4,500 Practitioners Already Restoring Energy and Wellness to their Clients Get Your System Today! Yes, it Really is this EASY with our System! Empower…your clients with the practical knowledge to restore a healthy physical body.